FLEXIM - Beijing Conasen Tech. Co., Ltd.
From a modest living room start-up operation to a global player Many successful companies have small beginnings. Garage based start-ups are legendary. FLEXIM is no exception. The company, which by now is well established as a world renown manufacturer of measurement instrumentation, had its beginnings in the spring of 1990 as a risky endeavor in a rented apartment located in Berlin's Friedrichshain district. Listening to what's coming down the pipeline... The situation in 1989 and 1990 was fluid in more ways than one. Angry demonstrators roamed the streets of Berlin, Leipzig and other major East German cities. With the fall of the Berlin wall a radically new world was opened with new possibilities and risks. Four graduates of Berlin's Humboldt University and the University of Rostock discovered their entrepreneurial spirit. They decided to try their luck and apply their knowledge: On February 17th, 1990 they founded FLEXIM GmbH. The declared purpose of the company was the development and manufacture of ultrasonic flow instrumentation. Top technology in the backyard Today non-intrusive flow measurement is a well known and widely used technology. 20 years ago things were very different. Few of FLEXIM's neighbours could have known at the time that world-class R&D was being conducted in the apartment next door. The business aspects of the new company were understood poorly. After all the founders did not grow up thinking in business concepts. Luckily this deficiency was more than made up by the subject matter at hand : ultrasonic flow measurement. This know-how came from Rostock University. Two of the company founders had studied ultrasonic flow measurement under flow guru Prof. Dr. Otto Fiedler. Under his guidance they had developed the first ultrasonic flow meter prototypes. From a Berlin living room to the top of the world Right from the beginning the aim was set high: FLEXIM was to be a top-rated global player in its field. After 18 months of hard work the stage was set. The instrument developed was ready for prime time and the first model moved into production. During the 1991 Hannover fair the first unit was sold to a customer for use in Nepal. In spite of this rather high first installation FLEXIM has been moving up ever since. Model FLUXUS ADM 6402 became a "benchmark" product even before this word entered the business world lingo. Research with progress in mind Who would know better and first hand that one cannot rest on one's laurels: FLEXIM was created in turbulent and changing times. FLEXIM's owners understand that change is inevitable. This explains the company's policy of investing above average sums in R&D in order to maintain the role of the technological leader. 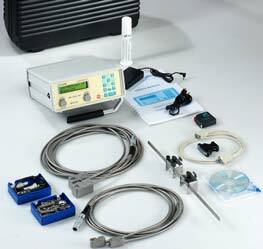 The envelope for ultra sound measurement applications was steadily expanded. 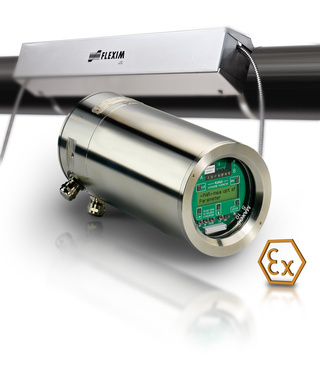 Today FLEXIM leads the way in high temperature and gas flow measurement. The technology is now also used for process analysis applications such as non-intrusive concentration measurement. Non-Intrusive Ultrasonic Flow Metering As a technology leader in the field of clamp-on ultrasonic flow measurement, FLEXIM offers you ideal flow metering solutions - even for the most demanding challenges. Whether you are dealing with liquids or gases, extreme temperatures, high pressures and highly variable flow rates in thick walled pipes, our range of FLUXUS flow meters are the measurement system of choice. Highly accurate, reliable and rugged, FLEXIM’s ultrasonic flow meters easily withstand the roughest and most hazardous applications - ranging from the Chemical Industry to the Oil and Gas Sector, where FLUXUS also stands its place Offshore. With more than 20 years of engineering experience, FLEXIM also offers you solutions for a real time concentration analysis with laboratory accuracy. Depending on the individual application, PIOX analyses the process by ultrasound or optically by measuring the refractive index. Every generation of FLEXIM’s products is directly driven by customer and industry needs and our focus and dedication is directed towards providing the highest quality equipment with the best support and service possible. 20 years of FLEXIM is a success story in its own. 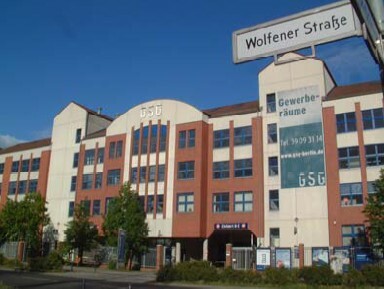 The company was founded in spring 1990 - in turbulent times for Germany. The first office was an old storefront in East Berlin. Today, FLEXIM employs over 100 people at its new headquarters in Berlin and is increasingly active on a global stage with subsidiaries in the United States, Singapore, China, France, the Netherlands and Austria. Year after year, the Berlin-based company continues its substantial investment in research and development in order to maintain and further improve its position as an industry leader. In keeping with its core principles, FLEXIM takes customer feedback very seriously. Every generation of FLEXIM products is directly driven by customer and industry needs. FLEXIM considers itself not only a manufacturer of measurement instruments, but also a provider of technical and consulting services. These services include on-site measurements, laboratory analysis, project handling, training, commissioning, instrument rentals and consulting services. FLEXIM’s focus and dedication is directed towards providing the highest quality equipment with the best support and service possible. 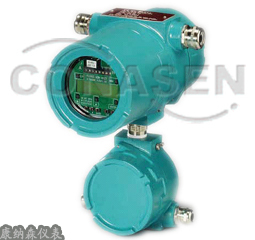 FLEXM ADM 8027 ultrasonic flowmeter explosion-proof, fixed installation, protection grade IP66, explosion-proof certification ATEX, for use in hazardous areas (Zone 1, 2), all electronic components placed in explosion-proof housing, the terminal and junction boxes using "increased safety" protection, which works for the transit-time, the use of ultrasound signal propagation velocity in the fluid and the fluid flow velocity measurement. 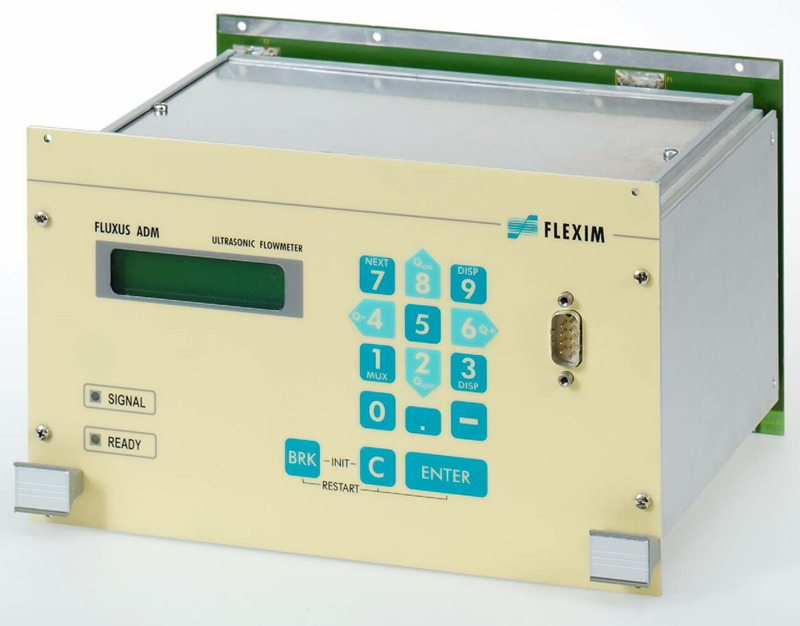 The FLUXUS ADM 7907 is the 19" inch rack version of the highly versatile FLUXUS ADM 7407 liquid flow meter. As a non-intrusive clamp on flow meter, the FLUXUS ADM 5107 /5207is the ideal solution for retrofitting in existing networks without interruption of supply lines. Thanks to the clamp-on technology, no cutting or welding work is needed to mount the transducers on the pipe. 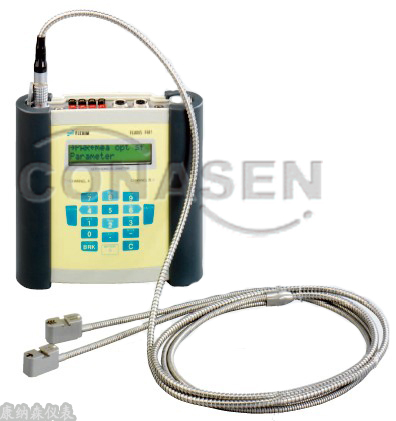 During installation, the flow meter's user interface is automatically adapted to the connected transducers and no zeroing is necessary. Water is already pre-selected as medium and it's physical properties are stored in the flowmeter's memory. The FLUXUS ADM 8127 flow meter for liquids is FLEXIM's solution for explosion hazard environments Offshore (being ATEX (IECEx) approved for usage in zones 1 and 2).With a flameproof field-enclosure made entirely of stainless steel, the flow meter is permanently sea spray and seawater proof and can easily be operated by a magnet pen without having to open the housing. 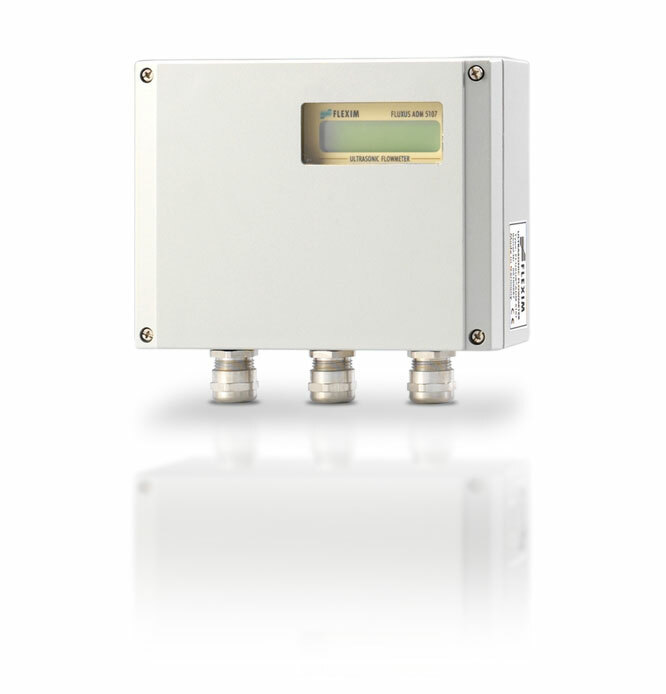 The FLUXUS ADM 7407 is delivered with one or two flow measurement channels. 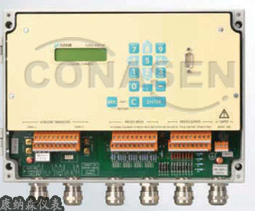 Additionally, it can be equipped with various outputs and up to 4 process inputs. The input quantities (e.g. temperature or pressure) can be used by the flowmeter together with the measured flow for the calculation of further quantities: e.g. energy, mass flow, etc. The FLUXUS F601/G601 is the portable clamp-on flow meter of choice for servicing and maintenance activities, the control and auditing of measurement points not covered by permanent meters, or even the temporary replacement of permanently installed flow meters.